First things first. Mark Nanos graciously contacted me to let me know I didn’t quite grasp everything he was saying in his paper ‘Paul’s Non-Jews Do Not Become “Jews,” But Do They Become “Jewish”? : Reading Romans 2:25-29 Within Judaism, Alongside Josephus,’ which I highlighted in Part 1 of this two-part series. While many do hold that the Jews were expelled from Rome in mass or entirely, in the appendix to The Mystery of Romans Nanos explains why that is almost certainly mistaken historically, and not helpful for explaining Romans. More importantly, Nanos does not argue that Paul was actually criticizing Jews in Rome for being hypocritical; rather, he was using the ideal of Jews not being hypocritical as the backdrop for developing a diatribal character, not a real one or even a real accusation as if it is happening, but what it would be like and how obviously hypocritical if so, that one who would call himself a Jew would seek to teach non-Jews Torah if not also committed to keeping Torah, or to get circumcised if not living as one who is circumcised is, dedicated in heart to doing what one separated to God should do regardless of whatever anyone else does or thinks about him and what he does or does not do. That hypothetical character is used to challenge any incipient pride or temptation to judge or behave hypocritically among the non-Jews he addresses directly by way of this diatribal fiction. I appreciate Dr. Nanos bringing this to my attention and correcting my misreading of his paper where I thought he was saying that Paul was criticizing the Jews in Rome for hypocrisy (and it should be obvious that I’m leveraging Nanos’s words in the numbered list above). In reporting my impressions on Nanos’ paper last time, I deliberately left out some significant portions for the sake of space. I’m including them here for further discussion. There are many striking elements in Josephus’s account about Izates, the king of the Parthian client territory of Adiabene, and his mother, Helena, who were not born Jews and ruled a non-Jewish/non-Judean people (Ant. 20.17-96). The events overlap with Paul’s ministry in the 40s and 50s CE (20.15-17), and include interesting parallels to elements of Paul’s approach to and instructions for non-Jews in the Roman Empire. Several scenes warrant discussion. Nanos relates the story of Izates who prior to being crowned King, was sent to Charax Spasini for his own protection. There, Izates encountered the Jewish merchant Ananias. Ananias had been teaching Jewish traditions and customs to several women in the royal family and Izates also became his student. …who taught several women of the royal family with whom Izates was staying to “worship God [the Deity] according to the Jewish ancestral traditions…” (20.34). It is doubtful there was a Jewish community or synagogue present in Adiabene and questionable if Izates and the “women of the royal family” were undergoing this training as part of the proselyte rite (at least at this point in the process), nevertheless, we have several Gentiles being taught to worship the God of Israel “according to the Jewish ancestral traditions.” This at least suggests that said-Gentiles were A) worshiping the God of Israel, and B) doing so “jewishly,” that is, employing Jewish traditions and methods in worshiping Hashem. While it’s tempting to think that the Ananias in question is the same person who the Master sent to Paul to relieve him of his blindness (Acts 9:9-19) and thus believe that Izates and the “royal women” were being taught Judaism within the Messianic faith, there’s no evidence to support such a theory (see First Fruits of Zion’s Torah Club volume 6: Chronicles of the Apostles for a further discussion of Izates and Ananias in light of Acts 9). By an amazing “coincidence,” when Izates returned home to assume the throne after the death of his father, he discovered in his absence, his mother had also been studying Judaism. …he learned his mother had simultaneously begun to observe certain Jewish customs under the direction of a different Jew, who remains unnamed (20.35-38). Izates is described as becoming aware of Helena’s “rejoicing in the Jews’ customs,” (20.38), referred to also as “their laws/conventions” (20.35). It was at this point that Izates decided to extend his Jewish studies and undergo the proselyte rite, converting to Judaism. Here’s where it gets interesting. It remains unclear whether Izates supposed heretofore that he had become a Jew, or if he was simply unaware of the distinction between adopting (some) Jewish behavior, most likely adding such behavior to the rest of the customs and cult practices of his people as well as those of the people among whom he was residing, and becoming a Jew. Since the matter of circumcision with its signification of identity transformation does not pertain to Helena, it is also unclear if she is still a non-Jew or is recognized to have become a Jew. From Paul’s point of view relative to his teaching Jewish practices to Gentiles within the context of Messiah worship, the distinction between Jew and non-Jew in Messiah was clearer, at least to him. But from an outside observer’s perspective, would Paul’s disciples have been seen acting any differently than Izates and Helena? How closely can the two cases be compared, particularly when we realize that nothing called “Christianity” existed in those days as a stand-alone religious entity? Paul’s disciples and Izates and Helena as disciples of other Jewish teachers may have had a great deal in common in acting “jewishly” but not being Jewish (maybe). Much of the Apostolic Scriptures record the struggle Paul had in integrating Gentile Jesus-believers into Jewish religious and community space as co-equal participants with the Jewish occupants, particularly in defining how unconverted Gentiles could still receive the covenant blessings that were promised by God to Israel alone. And yet in Paul’s conceptualization, he seemingly had a clear vision of who the Gentiles in Christ were relative to Jews in Messiah (and the wider body of Jewish people). But in the persons of Helena and particularly Izates, we have a greater degree of ambiguity. Was Izates what we would call a God-fearing Gentile, was he a proselyte, or was he something in-between? He was certainly a Gentile (up to the point when he finally converted) who was practicing at least some aspects of Judaism. How far was he allowed to go? If Paul’s Gentile disciples had a less ambiguous status in terms of Jewish practices and Judaism than Izates, how do we answer the same questions on their behalf? Can we, as Nanos asks regarding Izates and Helena (p. 17), consider them “jewish” Non-Jews who were gathering in Jewish assemblies or synagogues? I’ve avoided asking the obvious question so far, but how does any of this apply to Gentile Christianity today, particularly to those of us who call ourselves Messianic Gentiles? Twenty centuries ago or close to it, we have a record of many non-Jewish people co-mingling with Jews within Jewish assemblies and communities and being treated as near-equals or equals in social and even covenant standing. The Gentiles were largely, and some probably fully entrenched in Jewish cultural practices. What does that say about Gentiles interacting and worshiping with Jewish Jesus-believers (Messianic Jews) in Jewish community space today? Goyish is not bad. Goyish is good. It may not be good for Jews, but if you’re a Gentile—goy is good! It is what God made you. ENJOY!!! And realize that salvation has come to the Gentiles as Gentiles. You don’t have to discover your Jewish roots. You should not abandon or disparage the churches from which you came or where you still live, and move, and have your being. You should enrich them through engagement with the Bible, through discovering and expressing your spiritual gifts, and through your whole-hearted participation, but please please please: Don’t despise your roots or imagine that you have to abandon them to find God. God has come to find you and your people just as you are and where you are. This might almost be seen as the same view from the opposite end of the telescope. It’s an expression (if I’m reading this right) of how the Gentile Jesus-believers do not have to adopt Jewish cultural traits and practices in order to be faithful Jesus-believers and benefit from the Jewish covenant blessings of salvation, justification, and the resurrection to come. In Paul’s day, there was no template for integrating faith in the Jewish Messiah within the various Gentile cultures, so it was probably easier to bring the Gentiles into Jewish culture. Paul probably wouldn’t have known how to teach about Messiah and the God of Israel in any other way. But two-thousand years later, Christianity has a rich (and sometimes dark) history and culture of its own. Each church could be said to be its own cultural milieu with its traditions and mores and very little if any of it looks at all Jewish. Some Gentile believers feel kind of ripped off by the Church, especially when they learn to read the Bible, and particularly the Apostolic Scriptures, as God encountering man within Jewish culture and community. It seems inviting to witness the first Gentile believers being taught by Paul and Barnabas at the “Synagogue of the Way” in Syrian Antioch (see Acts 11). From my point of view, I think there are circumstances when Gentile believers can and even should appropriately express their faith within a Jewish cultural context. In fact, at least in the United States, most authentically Messianic Jewish synagogues contain a significant if not majority population of Gentiles in their membership. Like Izates, there will always be Gentiles who are inexorably drawn to Judaism for whatever reason and they will find their way into Jewish community. Further, there are numerous intermarried couples who would benefit from the Jewish spouse participating in Messianic Jewish community along with the Gentile spouse. This is particularly important if they have Jewish children who need to learn and preserve what it is to be Jewish and to be Messianic. But I was thinking in church last Sunday about Christians (which I suppose isn’t surprising). What do we do about them? The first thing to consider is that most Christians are more than overjoyed to be in their churches and couldn’t imagine any other venue for their worship of and devotion to Jesus Christ. From their viewpoint, they neither want nor need to engage Jesus within a Jewish cultural context and doing so would just make them feel uncomfortable if not downright alienated. But that’s not to say that the Church is perfect nor that they cannot learn from what Messianic Jews and Gentiles teach. I was talking to a young fellow after Sunday school class the other day about Jewish traditions and the benefits they possess. We talked about the set times of prayer and the abundance of blessings a Jew recites on various occasions. I also told him that a Christian does not specifically have to adopt Jewish practices in order to gain the benefits of the values that lie behind the traditions. 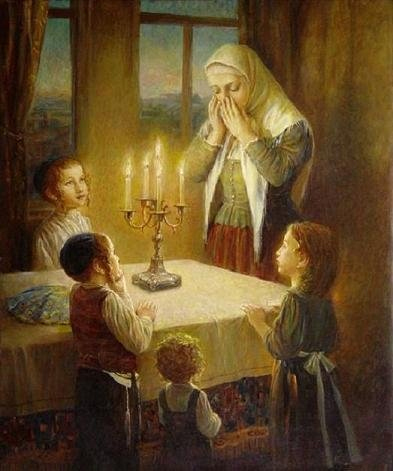 On Erev Shabbat for example, it is traditional for Jewish parents to bless their children in a specifically proscribed manner. I told my young friend that he and his wife could also chose to bless their children, but they didn’t have to do it “jewishly”. The values behind Jewish traditions and culture provide context, identity, and meaning to Jewish families, and I think Christians can and sometimes do employ similar practices for the same reasons and can get similar results. Two-thousand years of history have separated most Christians from even the idea that we could act “jewishly” and for most Christians, it would drive them crazy even to consider the possibility. But if someone like me, who has a few “jewish” ideas to relate to my Christian counterparts, can communicate those concepts in the Church, maybe it will build a bridge between the two worlds. For those Christians who are drawn to a more “jewish” lifestyle, many of them either come from family and culture that melds into behaving more “jewishly” or they learn to do so through marriage or some other process. The main takeaway for me is that it’s not a “have to,” that is, I don’t feel compelled by God that I must live “jewishly” and that it’s a sin not to. It may well have been acceptable for Izates and Helena to live “jewishly” and never to convert to Judaism, at least in a formalized manner. Certainly Paul’s Gentile disciples lived “jewishly” probably by default, since there was no other cultural pattern one could employ for a Gentile to live as a disciple of a Jewish teacher. But that was then, and this is now. While some Gentiles elect to live “jewishly” as an expression of their faith, it doesn’t seem absolutely necessary, at least in the current age. I’ve seen some Christians in the Church observe more of the weightier matters of Torah than I have some Hebrew Roots Gentiles in One Law gatherings. It isn’t the cultural or religious context that makes the person of faith, it’s the heart. One circumcised heart is worth ten-thousand kippot and tallitot wearing people with uncircumcised hearts (not that you can’t be a kippah and tallit wearing Gentile with a circumcised heart, of course). A friend of mine said it best: Don’t seek Christianity and don’t seek Judaism. Seek an encounter with God. James, while I agree it is a matter of the heart and the weightier matters of Torah, I am also concerned about Replacement Theology. As I’ve mentioned before, I attend a church that believes there is no longer a place for the Jews in God’s scheme of things. They can still chose to accept Jesus and convert to Christianity like everyone else, but are no longer the chosen people – the Church is (capital use intended). But I was thinking in church last Sunday about Christians… What do we do about them? …From their viewpoint, they neither want nor need to engage Jesus within a Jewish cultural context and doing so would just make them feel uncomfortable if not downright alienated. You are correct. Most Christians neither want nor need to engage Jesus within a Jewish cultural context because the Jews no longer matter. Jesus came and changed all that. Not only does this lead to Replacement Theology, but the idea that the law is no longer valid – Jesus did away with it. Another concern is how doing away with Jesus’ Jewishness has led to misunderstanding the Gospel message. Rather than it being, ‘Repent, for the Kingdom of Heaven is at hand’ is has become ‘Believe in Jesus and you will go to heaven when you die’. Lancaster’s book “Elementary Principals” does a great job of explaining this, and the importance of believing in the resurrection. You also indicated that 2,000 years ago there wasn’t an alternative to the pagan lifestyle, only Judaism. While we do have the alternative of a Gentile church, there is far more error in its teaching than if we had clung to our Jewish brethren. But God knew all this and I find it fascinating how He is drawing us back to the totality of His Word. I can agree with some chunks of this, but for the sake of clarity, when I rest and worship on the seventh day am I acting Jewishly, or Scripturally? When my family and I celebrate the feasts am I acting Jewishly, or Scripturally? If I avoid pork and shellfish, am I acting Jewishly or Scripturally? How about wearing tzitiot? @Pete — I applaud your desire for clarity as you ask whether one is acting “Jewishly” or “scripturally” in attempting to perform mitzvot that are defined in Jewish literature as commandments for Jews to perform. One difficulty arises immediately in trying to make such a distinction, because acting “Jewishly” is by definition acting “scripturally” in that Jews are the intrinsic originators and interpreters of what is “scripture” and “scriptural”. However, the challenge posed here for gentiles is whether there may exist a manner in which non-Jews may act in accord with scriptural principles without doing so in exactly the same manner as Jews do, thus acting “scripturally” without acting “Jewishly”. Certainly that is what Christians have tried to do for centuries. Some of them may be credited with a degree of success; though even this has been often marred by a failure to understand what the scriptures actually are recommending because of historical deliberate ignorance of Jewish knowledge of and interpretation of these scriptures. An additional difficulty is illustrated in the Catholic Church, which historically attempted to emulate the Jewish Temple’s procedures and priesthood. Setting aside for a moment their inaccuracies in doing so, one must ask whether they were acting “scripturally” even to try as non-Jews to perform actions that were commanded only of the Cohen clan of the Jewish tribe of Levi. The example of Korach’s rebellion demonstrates that it was wrong even for other Levi-im to attempt to perform these procedures, so certainly they were inappropriate for other Israelites to perform, and thus even more so for non-Jews. Hence, performing “scriptural” commands when one is not one of those to whom the commands were addressed is not actually acting “scripturally”. Thus non-Jews who wish to act “scripturally” must rely on Jewish interpretations of whether a given precept is applicable for non-Jewish performance and how non-Jews may do so when there may be some need to distinguish between Jewish methods and non-Jewish methods. For this reason some modern rabbis have taken some pains to clarify what is appropriate behavior for Noa’hides. FFOZ has taken similar pains to begin producing liturgical materials offering both traditional Jewish prayer formulations and also modified ones more appropriate for non-Jews, that have been derived from information in documents like the Didache and the Apostolic Constitutions which offered instruction for non-Jews in the first and second centuries CE. The Messianic Jewish Movement and the Hebrew Roots movements inevitable get fixated on The “Tzitizit, Festival, Shabbat topics with regards to gentiles”. Let us take Tzitizit for example: If anyone who is a non-jew wears tzitizit and is asked if they are jewish and respond “Yes” or “I’m A spiritual Jew” or is caught eating no kosher foods that persons needs a slap on the hand. Now If they respond “No. I’m a gentile, and I serve the G-d of Israel and these tzitizit remind me to stay on a path outlined in G-ds Word aka Torah, so I can serve Him as He should be served in what applies to me.” then that non-jew deserves a hug. For a non jew Mitzvah like Tzitizit are your daily accountability markers/identifiers, reminding you that it IS A PRIVILEGE to serve the G-d of Israel and join in with other Jewish believers as well as non believers. And Yeshua The Anointed One opened the way for such access to the non-jew without requiring the non-jew to actually convert to become jewish. James you brought up something interesting about “Christianity” where do they “fit in”. I think the religion of Christianity doesn’t fit in anywhere as far as the call for gentiles provoking the jews to jealousy. They certainly can’t provoke them in regards to the “weightier commandments” because most Jews give to the poor, provide for the hungry, have clothing shelters, are active in setting up communities around the world to help solve those community issues [not going to a community to convert them to their religion]. This mix of secular and religious Jewish people aren’t going there to “get a t-shirt” and say “I went to Africa this summer to miss-ionize” These beautiful Jewish people go to these hostile places to bring LIFE and DO BRING LIFE the lives of these African villages. Sometimes taking YEARS to complete task and making sure the people are left with a better way of life and the people know how to sustain themselves. The Jewish people don’t broadcast the weightier matters so all eyes can see [Like christianity at times]. Guess who’s leading the cure for the ebola outbreak yup the Jewish Doctors in Israel. So when people say “Christians & Christianity keep the weightier matters of Torah”, I think good “So do Jewish people, so does Judaism”. [There a bad apples in both groups, Judaism isn’t perfect but its closer to the Scriptures then Christianity since Judaism doesn’t remove the Hebraic/Jewish context from scripture]. The statement of christians keep weightier matters is actually a subtle way to denounce the jewish people in regards to keeping the weightier matter. Its implied that Jews only care about Shabbat Tzitizit Festivals etc. Christianity as a religion appears to have a challenge of accepting the relevancy of Torah as well as Yeshua teachings which taught on Torah and placed a fence around the commandments of G-d as to not have His disciples transgress the Torah [The “sermon on the mount” aka Midrash on Torah Observance]. There are people in christianity whom are drawn to the Hebraic/Jewish context of the scriptures and that’s great. But Christianity as a whole has toooooooo much at stake to allow centuries of there traditions of easter, x-mas, sunday gathering, halloween (alternatives), the whole offering/tithes system to be transitioned away because of Gentiles who received the revelation like you did and possible the millions of others who think like you and want to help the christian church. *** A Note of clarification, If a church corp wants to illicit money from there attendees because as the attendees you use there parking space, there bathroom, basically there resources then by all means you should pitch in with the up keep of the building, I would give a few bucks myself if i visited. But if a church corp ask this off the basis of “scripture” then I see a Hugh problem with that since thats not based in scripture. Though Christianity as a whole won’t change, by you attending a church and having a genuine spark and flame for the G-d of Israel and the Jewish people you ignite other sparks around you who didn’t know how to light there candle. If disciples of Yeshua are to follow His Words and “imitate” Him, then you will undoubtedly end up living “jewishly”, because your imitating a Jewish Rabbi. And you can’t say this only applies to the “weightier commandments” because then you fall into the trap of disrespecting G-d and His Torah and being considered least in His eyes if you teach this. Like I said earlier If anyone who is a non-jew wears tzitizit and is asked if they are jewish and respond “Yes” or “I’m A spiritual Jew” that persons needs a slap on the hand. Now If they respond “No. I’m a gentile, and I serve the G-d of Israel and these tzitizit remind me to stay on a path outlined in G-ds Word, so I can serve Him as He should be served.” then that non-jew deserves a hug. Mitzvah like Tzitizit are your daily accountability markers/identifiers, reminding you that it IS A PRIVILEGE to serve the G-d of Israel and join in with other Jewish believers and non believers, and Yeshua The Anointed One allowed for such access to the non-jew without requiring the non-jew to actually convert to become jewish. Messianic Judaism as a movement if not careful falls into the trap of Christianity with now just some “jewish phrases” sprinkled on top. Judaism is about Education, and that education is first rooted in Torah/Tanach, learning from the Talmud, Mishnah, Midrash, Mussar [ethics] from that education your shown how to incorporate these truths into your professional work showing the G-d is not just confide to esoteric knowledge but is woven into the very fabric of our existence. As disciples of Yeshua, we then incorporate His revelations on the Torah into our lives. Since Messianic believers acknowledge His Messiahship then the term “Messianic” come into use. But Messianic Judaism needs to be pushing for more scholarship and adherence to Judaism in the revelation of Messiah. Not the Gentile your at the back of the Bus Jew at the front of the Bus mentality or teachings. There is no Torah for Gentiles and Torah for Jews, theres only ONE TORAH to follow, so The BE advocates need to rethink there agenda$. The One Law individuals need to respect that Not everyone who does Torah is a Jew and to make claims of “spiritual Jew” or “I’m a lost tribe” is disrespectful. Messianic Judaism needs to be careful as movement or it will look no different then christianity with the whole trinity concept etc.. With just a “jewish flavor”, causing Yeshua’s name to be blasphemed among the people He came for [The Jews]. @Ro: I’m hardly advocating for replacement theology but I am advocating for a sort of parallel process. This side of the Messiah, you’re not going to turn the vast majority of church going Christians into Messianic Gentiles or Hebrew Roots proponents. What I think we can do is educate them relative to their theology and doctrine without demanding they change a great deal of their practice. I don’t want to roll into a church and start beating people over the head with a big Torah scroll. Look at FFOZ’s educational materials. They are tailored for Christians, particularly their television program which is designed as “Messianic Judaism 101”. No where does it say that Christians should stop meeting on Sundays, give up pork, or start laying tefillin. What I believe the better message is for the church is to understand the theological and doctrinal errors in Christianity relative to Jews, Judaism, and how the New Covenant works. If you can get people that far, the rest will take care of itself. @Pete: I expected a lot of push back on this. I’m not saying Gentiles can’t act more “jewishly”. I’m just saying they (we) don’t have to. Sorry to disagree with you here, but I don’t think there’s a shred of scriptural support for a Gentile obligation to don tzitzit and lay tefillin. Most traditional Jewish sages would even say it’s forbidden, although I would believe is is voluntary and sometimes even desirable as long as people don’t go around believing that you’re Jewish. Some Gentiles, Toby Janicki for example, do privately employ a tallit and for all I know tefillin in his prayers, but we don’t see a single example in the Apostolic Scriptures of Gentiles davening in this fashion. I also don’t have any problem with Gentiles observing the festivals. I regularly do, but my wife is Jewish so it’s sort of my “manly duty” to build the sukkah in our backyard every year. I even think there would be great benefits for Christians observing the festivals in some form. Many already do. Some churches put up a sukkah. Last Pesach, a Jewish Christian member of the church I attend held a seder for anyone interested in coming. I just don’t think it’s a sin if a Gentile doesn’t observe the moadim. We know in the future, the survivors of the (Gentile) nations who went to war (will go to war) against Israel will be obligated to send representatives to Jerusalem to observe Sukkot so that one’s a given. How Gentiles will address Pesach in Jerusalem, especially around whether or not they (we) will be allowed to eat of the Paschal lamb is something I’ve explored recently and I’m sure you’ll disagree with my conclusion. I also do a “kosher-style” Leviticus 11 thing with my wife, but that’s not really keeping kosher (we disagree on whether or not one can perform the mitzvot without consulting Jewish authorities). In the past, my wife has asked me if I would object if she kashered our kitchen and ramped up our level of kosher observance and I have no problems with that at all. I think she’s backed off from that position, perhaps for the sake of our children and grandson, but if she returned to it tomorrow, I’d be entirely supportive. I’m not telling you what to do Pete. I’m just explaining my position in terms of my review of Nanos’ paper. And indeed, I don’t think one can observe the mitzvot and not act “jewishly” since God gave the commandments to Israel and those commandment are woven into the very fabric of Jewish life. @Bruce: Probably a lot of my response to Pete would apply to your missive as well. While you define the wearing of tzitzit by a Gentile as a privilege, I suggest that it isn’t a right. One of my objections to “One Law” practices is that it simply deletes the covenant relationship between God and Israel and replaces it with a covenant relationship between God and the world. Jews might as well stop calling themselves Jews because they become completely unrecognizable against the “background noise” of One Law practitioners. I believe our job as Messianic Gentiles is to support and encourage Jewish Torah observance as opposed to universal Torah observance. As far as where Christianity fits in, it’s here whether you want to agree with that or not. The world is filled with churches and all of those churches are filled with Christians. As I said to Ro, you aren’t going to roll into all those churches and change everyone en masse into “Messianics” or Hebrew Roots” people. It won’t happen this side of Messiah. But what we can do is educate, slowly, gently, compassionately. If you try to force information on someone, especially information that runs counter to “sound doctrine” as the Church defines it, they’ll label you (us) a cultist and boot you right out. But if you can get some Christians to be curious…if you can lead them to changing their perspective…if they start learning new information that is more in line with how New Covenant theology actually works, then, as I said to Ro, the rest will take care of itself. Christian missionary, medical, and charity groups do this all the time. Both Jews and Christians act with compassion as the foundation behind the “mechanics” of observing the mitzvot. In that since, it makes no difference if you’re Jewish or Christian because the behavior is the same. I’ve always said that Christians observe probably the majority of the Torah commandments, they just don’t call it “Torah”. One Jew or Christian feeding hungry children or providing medical attention to the sick is worth more to me than ten-thousand Gentiles wearing whatever version of tzitzit they see fit. Torah observance, if you will, is all about serving others and serving God, not about making ourselves feel better because we put on a tallit and a kippah and pray from a siddur. I agree completely, which is why I think the vast majority of groups out there calling themselves “Messianic Judaism” aren’t. I think there are very few congregations in the U.S. that are authentically a Judaism “owned and operated” by a core Jewish leadership who are observant of the mitzvot and who include attendees and members who are Gentiles and come alongside their Jewish brethren to worship the God of Israel in fellowship and peace. Those Gentiles most likely behave “jewishly” at least in public worship, and many in private matters as well, but they are Messianic Gentiles and they recognize that unity is not the same thing as uniformity and homogeneity. To put it more personally, I’m not going to claim certain practices of my wife, whether I think I’m allowed to or not, because I’m not going to step all over her being a Jew. That’s a choice I make and I think it’s right for me and right for her. I understand if others need to disagree. @ Pete…. Your doing Both my friend. If you celebrate the festival of Sukkot and you build a succah the way its done today you can thank the G-d of Israel for the Jewish people because they [The Jewish people] defined what a succah looks like. The Torah doesn’t describe how to build a succah, the Jewish people [The Rabbis] defined what that looks like for today. When you read the Torah or Prophets it is assumed that its audience knows how to build a succah, since they dwelt in one all those years after the exodus. So if you do sukkot your doing it Jewishly. If you do a Pesach seder, your doing it the Jewish way and Scripturally way. You wear Tzitizit you said [thats great] well the rabbis determined how one is to fulfill this mitzvah and what the Tzitizit looks like and how they are differently tied and they also searched out the rare dye which can only be found in Israel to constitute as techeilet. 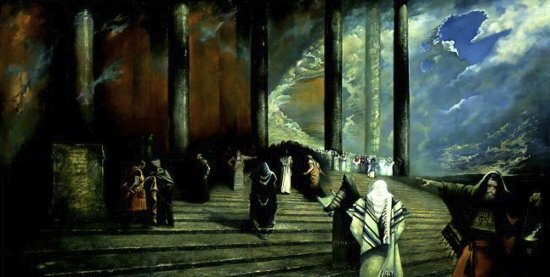 The Jewish people were given the oracles of G-d and they were given the chance to beautify the commandments of G-d. Yeshua rebuked SOME Pharisees because of there imbalance in certain matters, He actually approved of how scrupulous they were in there understanding of the Torah but rebuked them because they at some point became imbalanced. If you read the bible in Hebrew then you already should know that the Rabbis these Jewish guys called the Masoretes started the vowel and cantilation system. G-d never told Moses to write vowels pointings, but if you do read it with vowels its okay 🙂 because your doing it the Jewish way. I could go on and on. But the sum is that The Jewish people and Torah are inextrincably linked, a gentile who fails to acknowledge this or brushes it aside is arrogant, Rabbi Paul warned such gentiles of this spiritual arrogance. Your comment pete could be viewed as such, have the jewish people really burned you that bad that you want nothing you do to be considered “Jewish”? @ James Paul make it clear that its a privilege or “grace” that gentiles have the opportunity to Observe Torah and draw close to the G-d of Israel without converting. Key here is Paul’s ministry itself. The “battle” (within the Jewish community), is over “who has the true message.” For Paul to convince his Jewish brethren that his message of Yeshua being the Messiah is from G-d, the eschatalogical expectations from Torah that they hold, must be fulfilled. Of critical importance to this is the role of gentiles, for if Paul’s teachings are true, then gentiles will come in great numbers to put their trust in the G-d of Israel. This includes a respect for Torah, and desire to learn and practice more of it, on the part of the gentiles (Acts 15:21). When this occurs, it will give credibility to his message of Yeshua. Paul hopes his ministry will make unbelieving Israel jealous, so that some more of them may be saved. If the result of Paul’s ministry is nothing more than gentiles practicing some new Torah-less religion, then his message of Yeshua being the promised Messiah is a false one. Thus, gentile “obedience to the faith,” is a critical part of this process. Isaiah 6:9-10 – And he said, Go, and tell this people, Hear ye indeed, but understand not; and see ye indeed, but perceive not. Make the heart of this people fat, and make their ears heavy, and shut their eyes; lest they see with their eyes, and hear with their ears, and understand with their heart, and convert, and be healed. – they are the wild olive grafted in due to the stumbling of some of Israel. Romans 11-12 I say then, Have they stumbled that they should fall? G-d forbid: but rather through their fall salvation is come unto the Gentiles, for to provoke them to jealousy. Now if the fall of them be the riches of the world, and the diminishing of them the riches of the Gentiles; how much more their fulness? The Jews who do not yet accept Yeshua, have not permanently fallen, according to Paul, but are “stumbling.” They are still considering Paul’s message about Yeshua, but wavering. Their faith is “weak” in that they are missing the “goal” of Torah (Romans 10:4), by not accepting Yeshua. This idea of “weak” versus “strong” faith will be important in understanding chapters 12-15. The fate of the gentiles is intertwined with Israel’s. Paul explains how current unbelief has come to pass as part of a merciful G-d’s plan of using the hardening of some of Israel, in order to bring salvation to the gentiles, which in turn should lead more of Israel into accepting Yeshua. Paul states that even though blessings come to the world from this acceptance of Yeshua on the part of but a portion of Israel, there will be even greater blessings when more of Israel comes to faith. Therefore, the gentiles’ goal ought to be consideration of and help toward those of Israel who do not yet believe. James Paul is saying this. So yes it is a privilege. FFOZ may not go into details on this but look at Pauls pattern yourself, don’t you see His pattern and choice of words to describe the situation he’s currently going up against? Gentiles are privileged if they choose to, to A.) Wear tzitizit. B.) Be able to join with Israel there bigger brothers and sisters in obeying the Mitzvah of G-d and a Miztvah’s purpose is to connect the person doing the mitzvah to the G-d of Israel.. Thats where Tzvah comes from connection. which is connection. Gentiles are the little brother Jewish people are the Bigger brother. A older brother has more responsibility the father and mother expect the older brother to help and teach the younger brother, how things go in the family. I don’t feel the need to live “Jewishly” either, but I do feel the need to obey God. Thus non-Jews who wish to act “scripturally” must rely on Jewish interpretations of whether a given precept is applicable for non-Jewish performance and how non-Jews may do so when there may be some need to distinguish between Jewish methods and non-Jewish methods. Wow, so you believe Christianity to be invalid? Never heard a BE advocate make such a claim. Also, according to Jewish interpretation, Yeshua is not the Messiah, should we accept that interpretation? Zion, we’re going to agree to disagree on how Gentiles are commanded to obey God, and I don’t believe a Gentile who wears tzitzit automatically is taking a morally higher road than one who doesn’t. I understand, if you don’t believe a certain command applies to gentiles in the Messiah, then it has no moral standing in regard to a believing gentile, however I do believe it applies, so it is a moral issue. Actually, Zion, all references to anyone even faintly resembling Yeshua are actually addressing the fictive Christian misrepresentation of him. That fictive character certainly does not qualify as any sort of Jewish Messiah. However, Jewish interpretation has only recently begun to consider the real historical Rav Yeshua, and Jewish scholarship has been cautiously favorable to him. Of course, no Jewish commenter can explicitly endorse him, because of how Christians may be expected to react while thinking that somehow they have been vindicated for all the mistreatment of Jews of which they have been guilty lo these many centuries — and still they will not understand who he really was and what he really taught and the nature of what Jews are able to endorse. Yes, I believe that most of what passes for Christianity is predicated on an invalid Nicene base and is therefore invalid and mistaken about so many of its ideas and views. It is for exactly this reason that the Jesus movement of the 1960s in the USA became so popular, and why the search for the Jewish roots of the Christian faith became a significant part of its quest for genuineness and authenticity. This is why mainstream denominations waned in popularity in favor of non-denominational and evangelical churches, and why so many gentiles attached themselves to the Messianic Jewish movement. Regrettably, this phenomenon of gentiles overwhelming the Jewish demographic has hindered the development of MJ into a true restoration of Jewish messianism. This is also why at present there are some who are more vociferously emphasizing the importance of Jewish distinctiveness within an ecclesia that comprises two distinct segments. Only when Jews are enabled to rediscover themselves fully will they become capable of guiding the gentile segment of the ecclesia to overcome their Christian history and restore for themselves a religious praxis that conforms more authentically to Rav Yeshua’s teachings and the aspects of Torah that apply to them. Again in the MJ movement. If a gentile respective of what tzitizit and tefilin are it origins etc and doesn’t deny that they are not jewish but do it to connect with the G-d of Israel and the Jewish people and lives a Torah life, who says they are promoting universal torah observance? how can anyone object to someone wanting to fulfill the commands of G-d? Most BE thinkers promote the segregation model. They want gentile money but not gentiles and say your not obligated to observe the commands or they drop the subtly of you can observe them but “I know the Torah says when you look at the Tzitizit its a reminder” but you just remember you have them on and tuck them in, because you’ll offend everyone around and be called a jew. One Law wants everyone to do all things in torah, and say it was for you to do this whole time who cares what you ethnicity is or history or culture. Both groups are dangerous. Balance is needed and respect. I’ve dialogued with Chabad and Conservative jews and though they see it strange (meaning why don’t they just convert to judaism) if a gentile was wearing tzitizit or keeping kosher or studying Torah in a respectful way and showing kindness to the jewish community, they would encourage them to convert or scale back and just do noahide. Never did it cross there mind that they “are being replaced” by goys. Now I’m sure some in those groups may differ but a respectful torah observant goy (again thats a weird statement in jewish circles because your either noahide or a jew by choice) is not a threat to a Jew who does Judaism. Those in Messianic Judaism who say that they feel threatned or gentiles threaten jews can come across as insecure. Again this problem really only exist in MJ microcosm. I don’t advocate for BE like you do or One Law like others but I can see where these people and their titles come from. If One Law states that Gentiles are commanded to an identical set of Torah observances as Jewish people, then it becomes a sin if, for example, I don’t wear tzitzit. To me, that’s promoting universal Torah observance in the manner of Judaism (or at least “jewishly” since there’s some wiggle room usually inserted regarding Rabbinic authority in proscribing how to observe the mitzvot). Depends on whether or not those commandments are meant for me. Not all of the Torah commandments are meant for all Jews, such as the ones addressing the Priests. Even if a Jew from the tribe of Judah or Benjamin observed mitzvot only directed to the tribe of Levi, it would be meaningless. It’s the same if I observe a mitzvah specifically assigned to Jewish people, in my opinion anyway. In some ways, I’m probably more like you than you think. I have said previously that I see One Law on one end of a line and Bilateral Ecclesiology (in its strictest sense) on the opposite end of the line. While I’m closer to the BE end of things than OL, I’m not standing at the extreme limit. I don’t think that all Messianic Jews who advocate for Jewish identity and particulars are simply out for “Gentile money” (and that characterization dances dangerously close to an unfavorable stereotype usually assigned by Gentiles to Jewish people). I’ve been made to feel very welcome in those few truly Messianic Jewish gatherings I’ve attended. If some others feel to threatened by my presence, I simply won’t inflict it upon them, and I donate to those institutions and causes I choose, which is between me, them, and the IRS. Exactly. It’s not considered a normative behavior in mainstream branches of Judaism for Gentiles to wear tzitzit and the options are convert to Judaism (and then wear tzitzit) or become an observant Noahide (and stop wearing tzitzit). They don’t feel their identity is threatened because they are not Messianic. Sorry to put it this way but a Jew who desires to observe the mitzvot but who is also Messianic as a lot to establish. Even today, other branches of Judaism simply call Messianic Jews “Jews for Jesus” and see the whole observance thing as a “bait and switch” to lure uneducated Jews in by “pretending” to be Jewish and then getting them to convert to Christianity. The whole dynamic is highly emotionally charged and has a long, long history. That’s why there’s such a push (in my opinion) for Messianic Judaism to establish itself as a true Judaism, in order to dispel the myths being told within larger Jewry. That’s why some Messianic Jews tend to resist a lot of contact with non-Jewish Messianics or with Gentile Christians. That’s why they tend to take a strong stance relative to “identity”. As PL has said in the past, this dynamic doesn’t exist as such in Israel because a Jew has nothing to prove there and Messianic groups tend to contain mostly Jews as opposed to the U.S. where they have mostly Gentile members. But here, it’s another story. I’m willing to respect that and it doesn’t affect my relationship with God. Only what I think, feel, and do affects my relationship with God. I will say something that PL mentioned and thats FFOZ Sabbath Table Siddur is a well done resource for Jew and Gentile. And I would recommend it for those who keep Shabbat. All because I acknowledge the quality [content not looks] of the book I don’t endorse BE which I believe they Fall Under, you can correct me if I’m wrong James. @Bruce: Yes, I have a copy. Since my wife’s observance of the Shabbat doesn’t extend beyond lighting the candles, it doesn’t seem very appropriate for me to employ it at this time, although I’m considering saying some of the prayers privately. As far as exactly where FFOZ falls on the OL vs. BE scale, you’ll have to ask them. @Zion: We all make choices. I understand. Maybe it’s not an interpretation of scripture whether Jesus is the Messiah, but an interpretation of who Jesus is. Also the main reason why Judaism has rejected Jesus is because Jesus has been portrayed as anti-torah, anti-Israel, anti-Judaism etc. I think that their judgment call was correct in rejecting that kind of messiah. In fact, I believe it was a mitzvah for them to do so. Greetings, Troy. Nice to see you around these parts. I’ve made that argument to the Pastor at the church I attend and we ended up butting heads since he values conversion to Christianity as the higher value. But how could a Jew worship a Goyishe King over giving honor to Moshiach? Also the main reason why Judaism has rejected Jesus is because Jesus has been portrayed as anti-torah, anti-Israel, anti-Judaism etc. I disagree. At its height, there were probably more Jewish disciples of Yeshua in Jerusalem than there were Pharisees, at least according to my Pastor’s understanding (and I trust his apprehension of history in this case). The matter of the deity of Moshiach was a matter for some Jews while a good many others objected mainly to the free flowing admission of Gentiles into Jewish religious and communal space without undergoing the proselyte rite. In the history of Judaism, many would-be Messiahs came and went. Some people accepted them and others didn’t. So too did some Jews accept Yeshua and others didn’t. Only later, after the Gentiles staged a coop and took control of Jesus-worship did they employ revisionist history and radically reinterpret Jesus, Paul and scripture to recreate the Messiah as the Gentile Jesus Christ, not only eliminating the “jewishness” of Jesus, but making “jewishness” the enemy of Jesus. It has been that tradition in the Church which has recoiled Judaism for the past twenty centuries, so I have to agree with Troy and PL on this matter. We probably are more alike then we realize, our styles of articulation are different but we say somewhat the same things at times, but take a different road in getting there. In regards to MJ. If these Messianic Leaders would just be clear about a vision and role that they feel MJ should be headed then they need to do so. But MJ hasn’t done that. All the alphabet soup acronym organizations aren’t unified in a core stance on issues. Much like Judaism From Orthodox to Reconstructive all agree that ANYTHING with Yeshua in it is idolatry and they want nothing of it. Those groups differ on Halacha for Jews. Noahide is just Noahide (thats how they deal with gentiles). MJ is all over the place, gentiles can do this but not that etc… They would garner more respect in taking Judaism approach to Gentiles ….meaning if your A Jew then heres what you do. If your a gentile heres what you do etc.. All this sneaky BE, not giving a solid answer on topics, trying to be politically correct in the movement, is dangerous in the long term. Those vocal leaders can’t be worried about losing Gentile revenue if they say whats needed instead of being a popular voice. Your more close then myself with the leaders of the MJ movement have they shown a stance of unity? So the movement can start growing more. Is there literature from the various alphabet soup acronym organizations like UMJC IJAC MMJAC ABC CGBJ LLC etc… on a unified vision on Jews, Gentiles in the movement. I know one organization does conversions and another doesn’t, one allows gentiles to read from the bemah another doesn’t etc.. In regards to MJ. If these Messianic Leaders would just be clear about a vision and role that they feel MJ should be headed then they need to do so. But MJ hasn’t done that. That’s because there’s no such thing as a single, monolithic Messianic Judaism, just as there is no such thing as a single, monolithic Judaism (or Christianity for that matter) and probably for the same reasons. Troy I love the album man, keep making more [I know its hard work]. But more albums like the ones you release are a joy to listen to. and I will agree that the Jewish people had every right to reject Messiah since He was being portrayed as Anti-[All you mentioned]. It also shows that Christianity as a religion has no Future. Judaism as an authority and authoritative figure did not accept Yeshua as the Messiah and that same Judaism that has passed down for the past 2000 years has also not accepted Him, while we can definitely point the fault later on in history to Christianity, we cannot during the time of the Apostles, considering Christianity had not yet existed, and Paul considered the believing Jews at his time to be a remnant, the vast majority of the nation did not jump on board, despite whatever your Pastor states in this regard, scripture says otherwise… History says otherwise as well. So the question remains… any takers? @Zion: Just like today, there was no single “Judaism” in the first century. There were multiple streams, and when some Jews disagreed with the existing streams, they created a new one, hence the Qumran community. Those Jews who accepted Yeshua as Messiah created a new stream that was heavily influenced by Pharisaism and could even be thought of as a subset of the Pharisees: The Way. @Bruce: In the end, I agree, when Messiah returns and fully establishes his kingdom, there won’t be a church but only the ekkelsia with Israel at its center and the rest of us rallying around her. But in the present age, most of the Gentile and many of the Jewish believers are within the church. That’s why I can’t abandon the church because I can’t abandon them. I don’t believe God has abandoned them either, just as he has never abandoned the Jewish people. @James no, not expecting a “pope” like thing at all lol…. but christian interpretation and theology should be absent from Messianic Jewish teachings. The trinity is a mis-representation of the G-d of Israel and actually puts G-d into a box. G-d is not confined to the christian trinity, nor does one need to recite creeds or certain proclamations to make sure “your in the faith” [i.e: Is Jesus Christ your Lord and Savior, is he in your heart? have you accepted him?] if a Jew hears that they’ll label you a idolater, rightly so. @Zion: I’ve reviewed the comments and have lost track of your question. Please restate it for clarity. Thanks. @Zion during the first century some Jews accepted that Yeshua was indeed the Messiah and some did not. At least 5000 as recorded in Acts accepted his message. The problem to me was gentile arrogance that paul didn’t want to happen, such arrogance gave way to Christianity and the rest is History. Not all Jews were flocking in droves but it was a gradual process of them accepting that gentiles indeed don’t need tot convert to have a relationship with the G-d of Israel and partake in the covenant promises that were told to there ancestors. And as I showed a few post up Gentiles who obeyed Torah supported the teachings of Yeshua which in time would allow other Jews to see Him as there Messiah. They have forsaken Me, the source of life-giving waters, to dig wells that cannot give water (Jeremiah 2:13). Just like today, there was no single “Judaism” in the first century. There were multiple streams, and when some Jews disagreed with the existing streams, they created a new one, hence the Qumran community. Those Jews who accepted Yeshua as Messiah created a new stream that was heavily influenced by Pharisaism and could even be thought of as a subset of the Pharisees: The Way. I think you are missing the point, majority of Judaism at the time, did not accept Yeshua as the Messiah, and more importantly, those in authority, which had nothing to do with Christianity. Judaism has maintained its authoritative stance against Yeshua then and now. The original question that spawned all these other questions is stated in a response to PL, who claimed that any interpretation outside of Jewish perspective or Judaism is invalid, thus invalidating Christianity… well point in case then, the Jewish perspective within Judaism also says that Yeshua is not the Messiah… so either we agree with them, and validate the statement, or we realize this cannot be such a simple statement, its simply choosing one side for the other, where both contain error, finding that balance in the middle seems more appropriate. I am thankful for Christianity, in the fact, that despite having doctrinal and theological errors, and having done many things in history that I don’t want to be represented by the name of “Christian”, without Christianity, I would not know the Messiah, because Judaism certainly was not going to teach me about Him… Thus I have to deny the Jewish perspective here and the traditional authoritative view as invalid in this regard. My point is not to paint Judaism or Christianity as invalid, but both having invalid perspectives concerning certain doctrines and both having some form of validity. But if we deny Judaism’s understanding in this regard, as we should, then we have created an inconsistent message, when we say anything outside of the Jewish perspective is wrong. Balance is key to this dilemma. You’re mixing apples and oranges, Zion. Like I said, there were multiple streams of Judaism in existence in the first century, just as there are now. Those Jews, and there were a lot of them, who accepted Yeshua, joined the Jewish branch of “The Way”. Those who didn’t believe he was Messiah, who wouldn’t accept a Divine Messiah, or who didn’t want to hang out with a bunch of Gentiles who thought they were actually equal co-participants in Jewish communal space, remained in other streams. But once the Jewish/Gentile schism occurred and Gentiles reinvented Christianity, an entirely new historic dynamic was created that rose to actually persecute all Jews. The Way never persecuted non-believing Jews and Paul was passionate about sharing the good news of Messiah with as many Jews as he could. Gentile Christianity created a whole new critter, so like I said, you’re comparing apples and oranges. I won’t accept that those Jews who didn’t cling to Yeshua as Messiah during the days of Paul were somehow evil or bad. Paul never, ever saw them that way. See Romans 9:3. Going back to your original question, I agree that there is much good in the church but ultimately, in Messianic Days, it won’t exist. The minute the Gentile believers divorced themselves from Jewish Yeshua belief, they recreated a Christianity that had low fidelity to the original teachings. That said, I believe God preserved both an imperfect Christianity and an imperfect Judaism for a time when He would bring both Israel and the nations into reconciliation with each other and with Him. That what the New Covenant age is all about. We are seeing some of those promises stepping across the threshold into our world now by the reintroduction of Jewish interpretation of the Apostolic Scriptures in light of the Tanakh, refactoring them so that they are in agreement rather than opposition. For nearly two-thousand years, only a handful of observant Jews accepted Jesus and remained observant Jews because of the anti-Jewish drive of the Church, but that’s beginning to change. Hence Messianic Judaism. The dilemma is a notion that halacha can evolve and change in regards to anything else BUT Yeshua. I can see Zion’s point here (gasp!). How can we be included in the community when the communal halacha has been formed to exclude us? And trying to attempt such a goal in my mind is impossible. Here is what I believe Zion is referring to. When we participate within traditional Jewish halacha, do we recite and sing the 19th benediction of the amidah? The birkat haminim, do we sing it? How can we? It was created to point out and ostrisize us explicitly. Having been raised reform I have always found the tension between halacha of different sects of Judaism. So for me this is old news being recanned and reopened, worms and all. I believe Messianic Judaism needs to form into a recognized body, gentiles and all. (gasp again!! ) And I can now appreciate ‘both’ sides of this battle. Jews and Gentiles. May we find unity in our day, before the Lords Day that is so quickly approaching. James, thanks.  I try to stop by once and a while. Zion, To answer your issue in a way. Although I am highly thankful for Christianity for preserving the writings of Yeshua. I would not understand their interpretation outside of a Jewish perspective or interpretation. If I try to understand Yeshua from Buddhism, Christianity etc. I will come up short on who Yeshua was and is and will be. So I have to agree with PL that any interpretation outside of Judaism will be severely lacking. This doesn’t mean that we can’t learn from Buddhism, Christianity, Islam etc. about Yeshua, but we’ll totally misunderstand him if we look at him with any other backdrop than a Jewish one. Bruce, Thanks, I am glad you are enjoying the new album. Putting out a new album is kind of like giving birth. Right after it happens, I am so happy it’s all over with and I have a new little baby CD. Then I remember all of the blood, sweat and tears it took to make it and say, “I’ll never do that again.” But, wouldn’t you know, a few years later I see other musician’s cute little CDs and start thinking about having another. If Hashem gives me the strength, I will put another one out in the future. Ultimately it will, but possibly not until the Messiah returns. Just like the other “Judaisms” and all the “Christianities”, Messianic Judaism doesn’t exist as a single, unified entity with a single set of absolute standards. It is evolving and developing across multiple parallel streams. When we try to think of Messianic Judaism as a single “thing,” then it’s easy to get confused and to see Messianic Judaism as “messy” (and it is, but no more so than other religious expressions). It is a fact that in the U.S. and probably a number of other nations, Messianic Jewish congregations are populated largely by non-Jews and so each community develops some sort of halachah to guide Jews and Gentiles as community members and principally disciples of the Master. I pray for unity in our day but if it doesn’t come now, I know it will in the Messianic Age to come. Good lively debate everyone! I thought I would would make a comment on one point based on the recent book I read (and mentioned in your blog yesterday), “Copernicus and the Jews” by Daniel Gruber. Gruber has a chapter in his book with the title “The People Came to Him”, subtitled “The Jews Responded Positively to Yeshua”. He has over 7 pages of only Scripture from the Gospels and Acts that show, convincingly in my opinion, the overwhelming acceptance of the masses to Yeshua and his message. Some of the references are easy to read over and not see at first glance how the people were responding. Of course, the Temple authorities whose power was being threatened was another story. They tried to stop Yeshua and when they found that was not possible they plotted to have him killed. But many times in the process they were hindered in their plans by the large supportive crowds. So the masses were accepting even while the religious authorities opposed him. For me, the evidence makes it harder to say “the Jews rejected Jesus”. Of course things changed radically after this once gentiles began flooding in, but years before there was anything known as the Church or Christianity. And yet, even when the percentage of non-Jews gets to 70%, 80%, 90%, or beyond, the word “Jewish” remains, as if held in place by super glue. Yes, yes, yes! They need time, space, patience and love. I wish all those who claim to “love the Jews” would stop and consider what they’ve been through for the past nineteen hundred years, often at the hands of the very people who were called out from among the nations to feed, clothe, and care for them against the wider non-Jewish world. We already know from scripture that the spirit of Amalek is at work in every generation, attempting to annihilate those God covenanted with – the descendants of Abraham, Isaac, and Jacob. If this were to ever be successful, God’s Word immediately becomes null and void; no Jewish people, no redemption for anyone. And, sorry to say, Gentiles acting Jewish does nothing to balance that scale. Sadly, we’ve failed miserably in our calling. Some think the way to rectify it is to take on Jewish identity and Torah observance, and to fill in for them. They still don’t seem to get it, that’s not OUR calling. @Mel: I agree, especially with the interpretation “tens of thousands” in Acts 21:20, which Pastor also mentioned in a sermon several Sundays ago. A lot of believers have bought into “the Jews rejected Jesus” and don’t realize that many, many Jews become devoted disciples of Jesus. As you say, the Sadducees were another matter since they neither believed in the resurrection or final judgment beyond this life, both of which Jesus preached. D. Thomas Lancaster’s “Holy Epistle to the Hebrews” audio series discusses the conflict between the Sadducees who controlled the Temple, and the believing Jews in and around Jerusalem. @Carl: Agreed. God is the “super glue”. Great discussion folks! As it has been stated already, it’s not about being Jewish or Gentile but about obedience to HaShem. (I myself am a Gentile by the way :)). I am happy being as G-d created me – a Gentile and I want to fulfill the plan He has for my family. I was part of a conversion process a few years ago as I felt myself attracted to the jewish style of worship and communal life, but backed out as I didn’t think it was the best choice for my family at the time. Today we attend a synagogue on Sabbaths and Church on Sunday and we enjoy it very much. We keep more than just the noachide laws, we added Sabbath worship, eating kosher etc to the best of our abilities. It takes time to grow in observance. (I don’t wear tzitzit nor a kippah (only in shul), because i don’t want to confuse anyone, i’m part of a New Reformation of Christians lol :)). I will also say this, my understanding of G-d, messiah and the bible was pretty shallow until I began diving into its Jewish context and outlook. Even if at least tens of thousands is not a majority, while it might have been about as formidable as any other Jewish sect, we can say with confidence that there was not a majority of gentile individuals overall or any entirety or leadership of a gentile nation or ethnicity (as in a nation like Cretians, Labanese, Greeks or anything else either at that time or at the time of Constantine, not even Constantine) following J’shua. Thank you, wcmotalmid, for quoting Gruber again [additional piece]. Sojourning With Jews, you’re very well-spoken. I enjoy your posts. @James, You wrote: “@Carl: Agreed. God is the “super glue.” That’s a nice quip, but please tell me you aren’t saying that God labels a group as Jewish when it’s not. It really sends an incorrect message about the nature of the group. (I don’t think you can find a single biblical example of a non-Jewish nation or group of people being called “Israel,” the biblical name for the Jewish people). It seems to me that the glue is all too human. At best, the use of “Jewish” to describe a congregation with few Jews is part of an insider language where truth in labeling don’t apply. So what is lost by calling them “Messianic congregations”? Carl, I think what I’m getting from Nanos’ paper is that the first century Gentile disciples were operating within a wholly Jewish context but they were more than just “welcome guests.” No, they weren’t Jewish, but especially then, their behaviors within that context would have made them seem to be acting “jewishly” (the small “j” is deliberate), that is, taking on some of the traditional behaviors such as praying the prayers at set times, sharing (kosher) communal meals with their Jewish mentors and so on. If I’m not mistaken (and I’ve been wrong before), Nanos is exploring the juxtaposition of Gentiles in Jewish space and accessing Jewish practices (such as Izates and Helena) and yet not being Jewish people (at least up until conversion in their case). At that place and time, there weren’t really any distinguishing cultural practices in approaching the God of Israel. Paul didn’t teach “church” to the Gentile believers. The Gentiles did what Paul did in their worship services and in praying to God. As far as the “glue” holding the Jewish people together, can’t God be attributed for holding the Jewish people together and preserving them across history. That’s what I meant. Admittedly there’s a problem in calling a congregation “Messianic Jewish” and also having few Jews in attendance or leadership. That begs the question of congregations like Beth Immanuel Sabbath Fellowship being considered a Messianic “Jewish” congregation when its leader and teacher is a Gentile. Does that mean a Gentile can’t study “Messianic Judaism” as Toby Janicki describes himself in a number of episodes of the FFOZ TV show (and I’ve described myself in the same way)? I don’t have a problem saying “Messianic Congregation” or “Messianic Fellowship” but the question I think Nanos was asking is if you have a bunch of (first century) Gentiles worshiping the God of Israel with a bunch of Jews in a synagogue setting such as the one in ancient Syrian Antioch, if the Gentiles aren’t “practicing judaism,” what are they doing? @ James. My comment only concerned the use of “Jewish” in “Messianic Jewish congregation.” I wasn’t commenting on the relationship between Gentiles and Torah. Nanos is a careful scholar, so I tend to accept what he says at face value.But I don’t think that the first century synagogue situation compares very well with the twenty-first century Messianic congregational situation, where the norm is congregations that are 70%, 80%, 90% or more Gentile. The two situations also differ in significant ways religiously, sociologically, psychologically, and spiritually. They also differ importantly in matters of communal identity. Even more, I question the default position that first century practice should serve as a definitive model for subsequent times.Where does that approach come from? Not from Judaism, where we recognize the authority of the pre-Hurban Sages but not of synagogue practices during that era (which BTW varied quite a bit from sect to sect, one geographic area to another, the partronage of the particular, etc. synagogue).. But then that begs the question of where to we Gentiles get our “model,” especially those embedded in Jewish religious and communal space? I don’t see any way around the truth that a Jewish community must be built and sustained by Jews.. (This is not an ideological statement: I’d say that same for any other type of community.space.) The catch-22 is that if that community welcomes Gentiles who are looking for Jewish space, it will end up experiencing the same loss of Jewish identity seen elsewhere in the Messianic movement.What do you have then? A community made up mostly of Gentiles who wanted to live in Jewish space. I don’t see any bad people in this scenario, just some Jews and Gentiles who come face to face with demographic reality: most Jewish believers are in the Church and all it take is a miniscule percentage of Gentile believers to dramatically change the make-up of a Messianic Jewish congregation. So at this point in time, I don’t see any viable way to build clearly Jewish Messianic communities (which I believe are essential to God’s purposes) that maintain an open door policy for all comers. Well, in my particular case, I’m attending a small Baptist church and even if there were an appropriate (Messianic) Jewish congregation in my area that welcomed non-Jews, I would choose not to attend for personal (marital) reasons. Given my current situation, if for some reason, my relationships at church should fall apart, rather than going through the grisly task of “church shopping” all over again, I’d probably just bag it and do my own thing. The religious blogosphere is enough of a minefield without having to experience “live fire” from face-to-face interactions as well. God was gracious in directing me to a church that at least tolerates my “oddness” but I always feel like I’m on the edge of falling out of favor, even though I restrict my personal opinions most of the time. I guess that means I don’t know how to build Messianic Jewish communities except to stay out of the way. …. I don’t think that the first century synagogue situation compares very well with the twenty-first century Messianic congregational situation…. religiously, sociologically, psychologically, and spiritually… [and] in matters of communal identity. … I question the default position that first century practice should serve as a definitive model for subsequent times.Where does that approach come from? Not from Judaism, where we recognize the authority of the pre-Hurban Sages but not of synagogue practices during that era (which BTW varied quite a bit from sect to sect, one geographic area to another, the partronage of the particular, etc. …). There are people (as we all know) who want to point to what they think is what was going on in the first century as basically the law for the Church (which didn’t exist — that is, neither the Church nor any law for it). If a huge deal is made of the fact nobody built churches, therefore there shouldn’t be buildings or nobody got paid, therefore every activity should be volunteer [while, in one book I’m currently reading, “volunteer” nevertheless is still presented in a negative light in a particular context as there seems to be no coherent way to go about this line of thought], it is, regardless of a rejection by such authors against behaving jewishly, the case that the institutional and community settings (synogoues, etc.) and backdrop (say the Temple, for gentiles who didn’t reject the Temple at the time but couldn’t participate for the most part) were a real and present part of existence for J’shua believers then. “We” would include anyone (Jew or non-Jew) who wants to include, in worship services and community understanding, faith through J’shua [which I acknowledge isn’t a standard spelling but which I use online for purposes of communication… but that is beside the point] in a Jewish/non-replacement way. First of all, I don’t see any reason to expect that Jewish people who are in conventional or more mainstream venues should have to leave to prove anything or whatever. After that, though, seems to me the possibilities are pretty open. And I don’t think percentages are so important, but leadership in a place called Jewish IS. [I don’t know what to say to people who are against any leadership.] Ideally, this leadership isn’t someone with a distant Jewish relative but someone who grew up Jewish and Jewishly and who is a Jew — and treasures this. I’m fine, too, personally, with no leader and no congregation. I just don’t think it’s bad to have leaders, unless they’re bad leaders. AND, if you’re going to have something like a school — Christian or Jewish or community access or anything — and it’s not a home school, you’re probably going to want to pay the janitor and lunch ladies and teachers and administrators. James, I could be wrong, but I think that Beth Immanuel recognizes itself as a Messianic Synagogue or Messianic Judaism for all nations. I don’t believe we label ourselves as a Messianic Jewish congregation, but I could be wrong. I might have looked over something. That’s good to know, Troy. I think, especially as Carl points out, that it is important to make the distinction for the sake of the Jewish people who are attempting to establish authentically Jewish space for themselves as disciples of Messiah. This is probably more difficult than establishing Jewish space in any other context because of the history of voluntary and forced Jewish conversions to Christianity and how this resulted in those “converted” Jews being rejected by the Jewish community and having their “jewishness” rejected by Gentile Christians. It’s a difficult road to build and then walk upon. I don’t want this to come across as sarcastic, because it is certainly not meant that way, but as a serious question: Are Gentiles in a covenant with God? Another question that came to mind, when thinking of the early followers of Yeshua during the Roman persecution: Where only Jewish believers persecuted or all believers? Again, these are serious questions. If you mean did God ever make a covenant exclusively with Gentiles, the answer is yes, but only one. The Noahide Covenant we see in Genesis 9. God made that covenant with “all flesh”. For how we non-Jews are tied in to the New Covenant, which God made exclusively with the House of Judah and the House of Israel, you’ll either have to read through my “Jesus Covenant” series starting with Part 1 (it’s a 12 part series) or at least the summary in Building My Model or get D.T. Lancaster’s sermons on What About the New Covenant (five sermons on four audio CDs). I know it’s a lot of material to go through, but it’s well worth it. Thanks, James. I just wanted to see what the general consensus was here, briefly. In re-reading your reply (that’s what I get for trying to do too many things as once!) I didn’t mean with the Gentiles alone. I am referring to us being grafted in. I know there is a lot of material, but as I mentioned, I was hoping to get a general idea from those commenting here. The Romans periodically persecuted members of religions that did not have legal Roman status. If I”m not mistaken, only Roman polytheism and Judaism were legal at the time. So, when Gentiles or Jews became Yeshua-followers or joined Christian heretical or Gnostic sects, they lost their legal status and were subject to various kinds of civil penalties and occasionally stronger persecution. So Jews and Gentiles both suffered, whether it was for becoming “Christians” or members of other sects.